The heat and humidity have arrived in Maryland. I began to remember the first fourteen or so years of my life before airconditioning became widespread. People flocked to movie theaters on days like this. I also remember going to the Thrift Drug Store in the West Goshen Shopping Center to hang around in the aisles in the air conditioning. It's hard to believe that my first waitressing job, at the Guernsey Cow restaurant in Exton Pa was in a restaurant with no airconditioning. In the summers between 1956 and 1962, when I was home from school, my mother, who was a private duty nurse working from 7-3PM, took off for the summer, and she and I would spend our days at the pool at Lenape Park. We would get home about 4, in time for her to get supper ready for when Dad came home from work at 6PM --- and he worked outside in the heat at his Exxon ( then Esso) station. Our house was not airconditioned; if it was really hot, she and I would like on the tile floor in the living room on towels in front of a large electric fan. 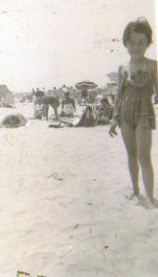 My parents were not big beach-goers. 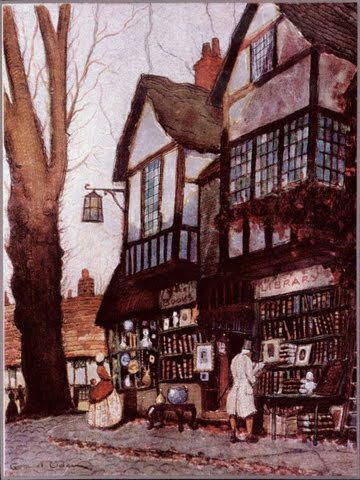 We did go at least three times during my childhood, though. Jump to 1979 through 1984, when I was a young Daughter of Charity, living in Petersburg Virginia. One of the sisters said she thought Petersburg was built over hell. The heat and humidity were unrelenting, and were enhanced by the sulphurous fumes from the Allied Chemical plant and the tobacco processing plant. The convent chapel, community room, and refectory were airconditioned, but the rest of the cinderblock building and the schools were not. I remember going over to my classroom in late August and September at 5AM to open the windows and turn on the fans, to try to bring some of the cooler morning air in. My long-sleeved navy blue habit would be sticking to me most of the days. Actually, when I think of it, most of the high school classrooms in which I taught for twenty-five years were not airconditioned. I was younger and thinner then, but I just lived with the expectation of discomfort. Most people have done so for most of the history of the world. I should not lecture my students about this; I'm guilty of it so many times myself. 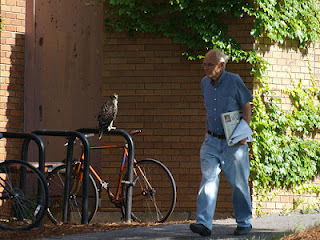 This morning I have frittered away several hours on Facebook and on the Cornell Birds website. 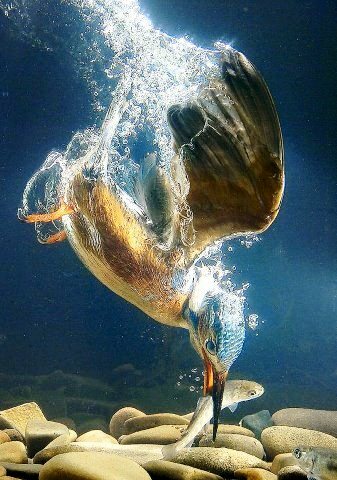 "A juvenile Malachite Kingfisher from Berni Richter of SOAR (Illinois) a raptor rehab organization." I want to write a poem about this photo. The other is one from the adventures of C3, the fledgling at Cornell. 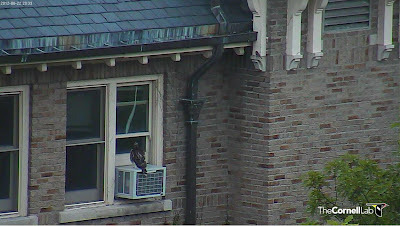 She spent the evening and night perched on a window air conditioner on one of the university buildings! need to stop this nonsense and get to work on something. Today the radio announced that Frederick is the hottest spot in Maryland, at 99 degrees. Same here, 25 miles north. The heat index is over 100, with a consequent health warning about going outside. I was out this morning, watering the tomato plants and running errands, but now I'm hunkered down in my bedroom - a cave with the shades drawn against the afternoon sun. 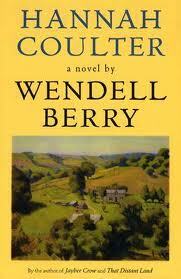 I should be reading Wendell Berry's novel Hannah Coulter, which I need to read for the Freshman course in the fall. But I can't get into it. Will try again in a day or two. 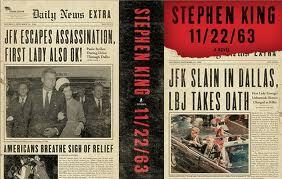 The other two, which are unabridged books on CD, are Martin Cruz Smith's Stalin's Ghost and Stephen King's 11/22/63 . 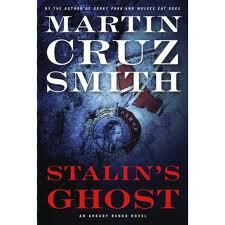 I have read three other novels by Smith: Gorky Park, Havana Bay, and Wolves Eat Dogs.His detective is a Soviet, then Russian policeman, and the course of the novels reveals much interesting detail about life in the USSR as it dissolves into its present chaotic state. I haven't read a Stephen King novel for a while, and listening to this one is revealing how wordy he is - when I devoured The Stand and The Shining and The Dead Zone and Firestarter ( my favorites) I did so skimming a lot of the verbiage to get to the meat of the plot. It's his plots that grabbed me. So I'm not sure about this one yet. 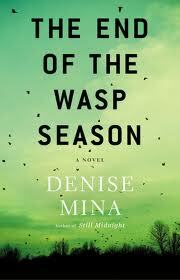 Returned from Cape May on the night of the 11th; still basking in the delight of that week! 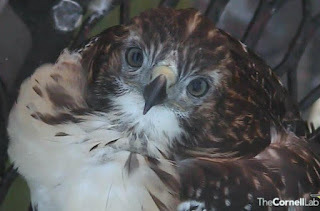 My birding buddy and sister, Mary Jo Stein, was there, and we went birding together several times. 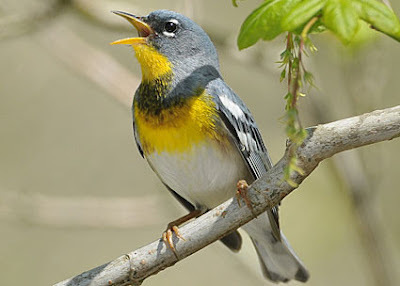 The highlight of our final day of birding was a view of a Parula warbler --- a male, if full breeding plumage - and these are the most colorful of our mid-atlantic nesters, I think. He was singing his very high-pitched whistle, too. Speaking of Cornell... I have continued my addiction to the Red-tail Hawk nestcam live streaming from Cornell. 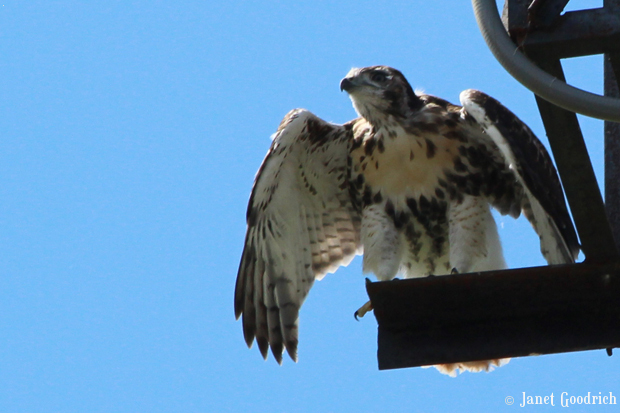 Now all three young hawks have fledged, but we watchers and lurkers have continued to follow their progress as new flyers . 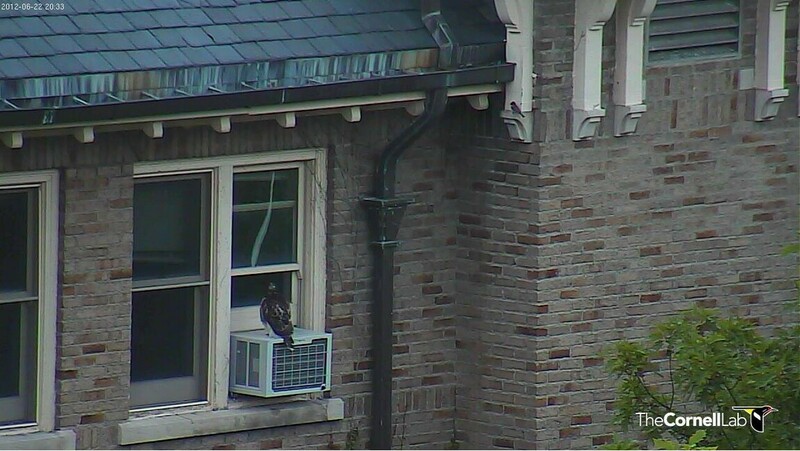 We have witness some drama with the third one, C-3 ( no nmaes for them until they are banded) The experts think she is a female. 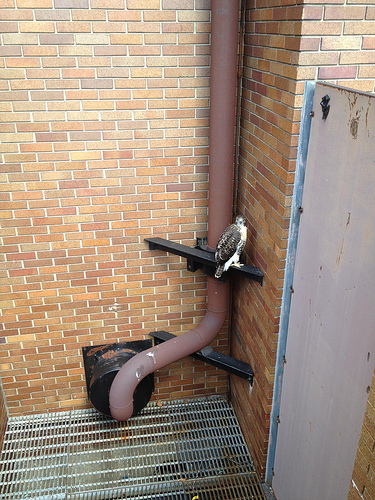 She was the last to fledge, and took her time about it. Now she does worrying things like getting trapped in the loading dock of the Cornell Library ( someone caught her and rescued her and let her go) and spending a day and a half perched on a bike rack on the campus. The chatters and camera folks have been joined by "BOGs" - birders on the ground - who have been reporting and updating, while thousands of us online wring our hands and get no work done at home. You are probably thinking: Get a life! But this is a delightful part of our lives right now. What did that passer-by think? Lots of anthropomorphizing going on at this chatroom, I can tell you. 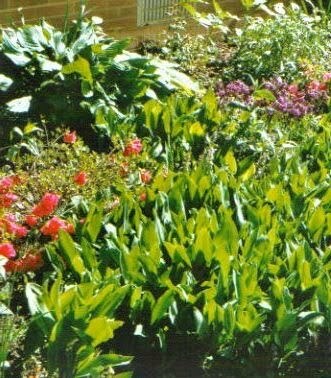 Asiatic Lilies, Astilbe, Larkspur, Coreopsis, Swamp Milkweed, and still the Cherry Bells. I love to just stand there and admire them all. I know it's not the best ocean view, but I am glad for whatever I can get!